Pyramids: Indicative of Indo-European Civilization on Other Planets? 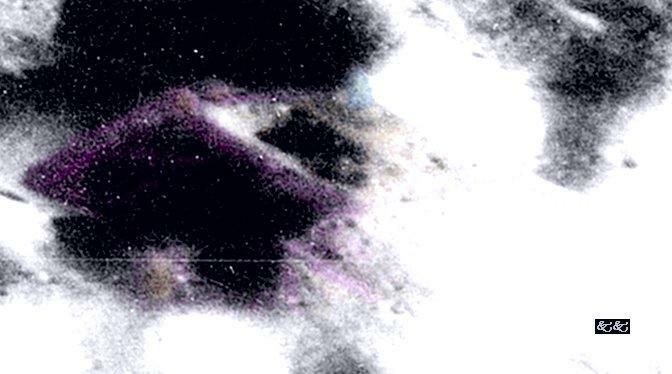 Below is a picture of pyramids on the border of the lunar crater Pythagoras. There is a certain order to their arrangement. There is a similar grouping of pyramids, also exhibiting arrangement, in the crater Aristillus. Also, a lone mount, called Monte Pico, exists in northern Mare Imbrium; Monte Pico is interesting because it is 2,400 meters high, and its base measures 15 X 25 kilometers; also because of its pyramidal shape. 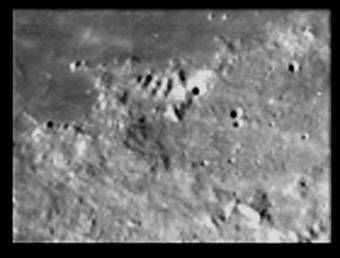 This data is also an enlarged clip from NASA image AS11-38-5564, but it was processed at 1000 dpi. Not only can we see a clearer more defined structure, but we also see a dome complete with a compression ring at it's base, right where it should be!... Evidence of engineering??? Is this a natural formation or is it a structure created by intelligent beings, possibly eons ago? The two images immediately above were culled from the now defunct kksamurai site. You Could Learn a Lot from a Daitya!